Welcome to my home page. I am a professor in the math department at North Carolina State University. Before this, I was a faculty member at Indiana University-Bloomington for several years, a postdoc at MSRI (fall 2004), Michigan (2001-2004) and the University of Washington (1999-2001), went to grad school at MIT (1995-1999), and undergrad at Harvard (1991-1995). I spent fall 2010 visiting Cornell thanks to the very generous support of the Ruth Michler Prize of the Association for Women in Mathematics (AWM). Richard Stanley was my Ph.D. advisor, and Phil Hanlon was my NSF postdoc sponsoring scientist at Michigan; Persi Diaconis was my undergraduate advisor. Here are my publications, talk slides and upcoming talks/conferences, and my CV. This work is supported by NSF grant DMS-1500987. Research interests: combinatorics, particularly as it relates to fields like topology, commutative algebra, representation theory and theoretical computer science. I'm especially interested in combinatorial methods for studying topological structure, often with algebraic applications in mind. Ph.D. students: Ruth Davidson, NCSU 2014 Ph.D. (with coadvisor Seth Sullivant). 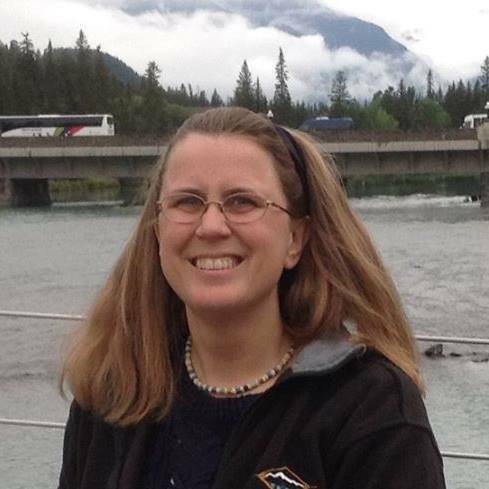 Rebecca Swanson, Indiana University-Bloomington 2010 Ph.D., now a teaching professor at Colorado School of Mines. Molly Lynch (5th year), Grace Stadnyk (5th year), Stephen Lacina (2nd year), and Chetak Hossain (6th year with coadvisor Nathan Reading) are currently working with me. Editorial boards and advisory boards: Forum of Mathematics (discrete math editor, March 2019--December 2023), Springer Graduate Texts in Mathematics (advisory board, April 2019--March 2022), Proceedings of the AMS (combinatorics editor, February 2014--January 2022) and SIAM Journal on Discrete Mathematics (January 2011--December 2016). Some helpful organizations: NSF, AMS, AWM, MAA and SIAM. Math 753, Graduate Topology, Tues/Thurs 11:45am-1pm, 1218 SAS Hall. Triangle Lectures in Combinatorics (TLC), series of combinatorial workshops. I serve on the TLC Steering Committee with Ricky Liu (NCSU), Ezra Miller (Duke), Gabor Pataki (UNC Chapel Hill), and Cynthia Vinzant (NCSU). MSRI Workshop on Geometric and Topological Combinatorics: Modern Techniques and Methods, Berkeley, CA, October 9-13, 2017. Coorganized with Vic Reiner (U. Minnesota), Bernd Sturmfels (UC Berkeley), Frank Vallentin (U. Köln) and Günter Ziegler (Freie U. Berlin). AMS special session on representation stability and its applications, Bloomington, IN, April 1-2, 2017. Coorganized with Jeremy Miller (Purdue) and Andrew Putman (Notre Dame). 70th birthday conference for Richard Stanley at MIT (Cambridge, MA), June 23-27, 2014. Coorganized with Karen Collins (Wesleyan), Caroline Klivans (Brown), and Alex Postnikov (MIT). AMS Committee on the Profession panel discussion on "Online courses: benefits and pitfalls". Coorganized with Dan Abramovich (Brown), held at the Joint Math Meetings, Baltimore, MD, January 15-18, 2014. AMS special session on algebraic combinatorics, Oxford, MS, March 1-3, 2013. Coorganized with Dennis Stanton (U. Minnesota). AMS Committee on the Profession panel discussion on "Getting Started as a Research Mathematician", held at the Joint Math Meetings, San Diego, CA, January 9-12, 2013. AWM Schafer minisymposium in memory of Alice T. Schafer, AMS/MAA/SIAM/AWM joint meetings, New Orleans, Jan. 6-9, 2011. Five talks and a panel discussion on ``Getting Started as a Research Mathematician'', by Schafer prize winners. Coorganized with Sami Assaf (MIT then, USC now) and Cheryl Grood (Swarthmore). Web pages for events, conferences, and seminars previously organized.